My husband and I watched this movie a couple of weeks ago. If you've seen Fireproof, you'll know what I mean when I say I expected a nice Christian movie, but not much entertainment. The plot revolves around a police officer, his family, and his police officer buddies. After some life-changing events on the job and in their personal lives, the men decide to take a formal step to take their jobs as fathers to a new level. 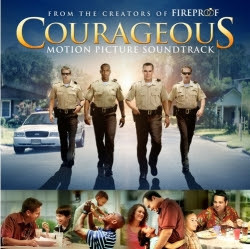 This movie really outshone Fireproof. The acting was good, there was some real action for my skeptical husband, and we even genuinely laughed--and not just at attempts at "clean" humor. However, I would say the movie was a bit long. It seemed there as a bit too much development of all the different plots and things went on for awhile. But all in all, the message was good and the entertainment value went beyond my expectations. I recommend it, especially for all men over 16 or so. I’m glad that your husband had a chance to see this movie, as I saw it with my family too. It really had an impact on me, and I have made some changes in how I relate to and spend time with my family. I am grateful that it came up as a recommendation on the front page of Dish Online, because I rented it as a streaming PPV there. I put my thanks in the suggestion box at Dish too, where I work. I hope that Sherwood films keeps making inspiring movies like this for a long time.